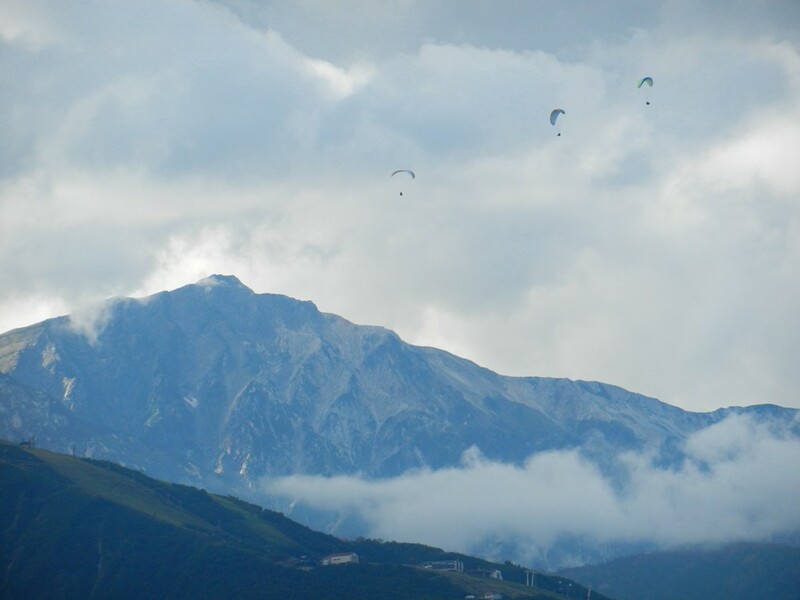 With the Japanese Alps as the backdrop, paragliding in Hakuba is something really special.. The experience of flying off the mountains into the world of thermals and glide ratios awaits anyone wanting to try their hand at Paragliding. Hakuba is a great place to get an introduction to the sport with a number of operators offering tandem jumps for the those happy to raise to the heavens. The area is quite renowned for the sport with the best in the world coming out here in 2010 for the World Cup event staged off Happo One. Most days during the summer we can see many of the peaceful gliders floating above as free as a bird and often flying amongst the Tombi ( Japanese eagle ) The views up there are spectacular and I can understand the addictive nature of the sport. Give it a go next time you’re here outside of the winter. This entry was posted in Hakuba, Sightseeing and tagged Hakuba Hotels, Nagano, Paragliding in Japan, sightseeing, skijapan, What to do in Hakuba. Bookmark the permalink. Hey, anybody knows if there was a paragliding accident, this december 2013 ? ?